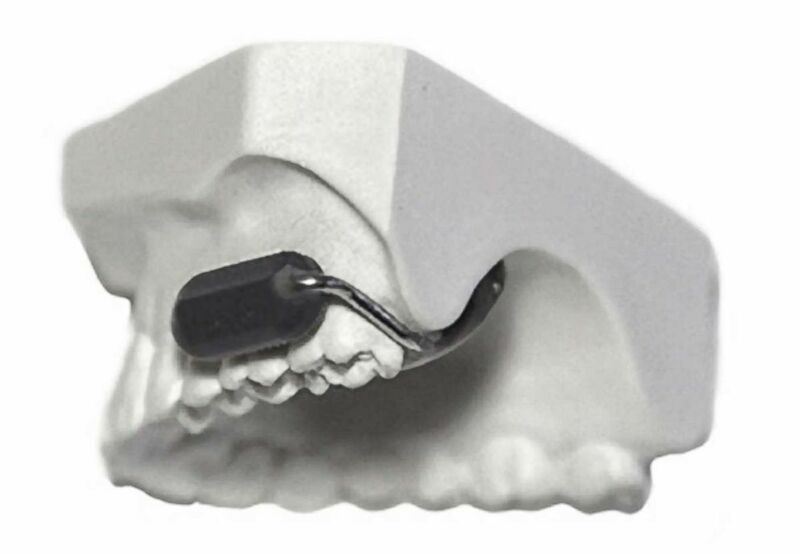 Incoming wireless signals beam directly into the mouth and are converted by the chip into mechanical energy, which imperceptibly vibrates the tooth and travels up through the jawbone –- essentially bypassing the ears -- directly into the brain’s auditory nerves. A new technology being developed by a California company called Sonitus will allow military personnel to communicate with each other and with headquarters without the need for earpieces or headphones. Last month, Sonitus – the California firm behind the device -- was awarded a $10 million Department of Defense (DoD) contract to customize the technology to meet the military’s needs. After that, it’s expected to hit the commercial market. The "molar mic" project is an early success for the Pentagon’s Defense Innovation Unit (DIU), a relatively new, specialized team of technology scouts whose mission it is to identify existing commercial technology solutions that can be swiftly adapted to meet military needs and make deals in real time. Traditionally, the Pentagon's contracts with big defense companies to build tanks, ships and planes for the U.S. military can be years in the making and require extensive review, testing and oversight procedures before a product ever rolls off the assembly line. It’s an approach thoroughly unsuited to the technology sector. Independent military technology experts told ABC News that DIU is a small but vital component of a larger Pentagon campaign launched under Carter and maintained under current Secretary of Defense James Mattis to keep pace with technological innovation. Mattis visited DIU's headquarters in Mountain View, California, last year and expressed his support for the program, according to the Associated Press. "The regular acquisition process is pretty bureaucratic and slow and can be inefficient -- that’s just the reality of it," said Peter W. Singer, a military technology expert who specializes in 21st century warfare. "So you develop these other projects and programs almost as workarounds to that," he said. "So much of the key [emerging] technology is already marketized -- whether it’s AI [artificial intelligence] or big data or robotics -- it’s increasingly available on the private market." 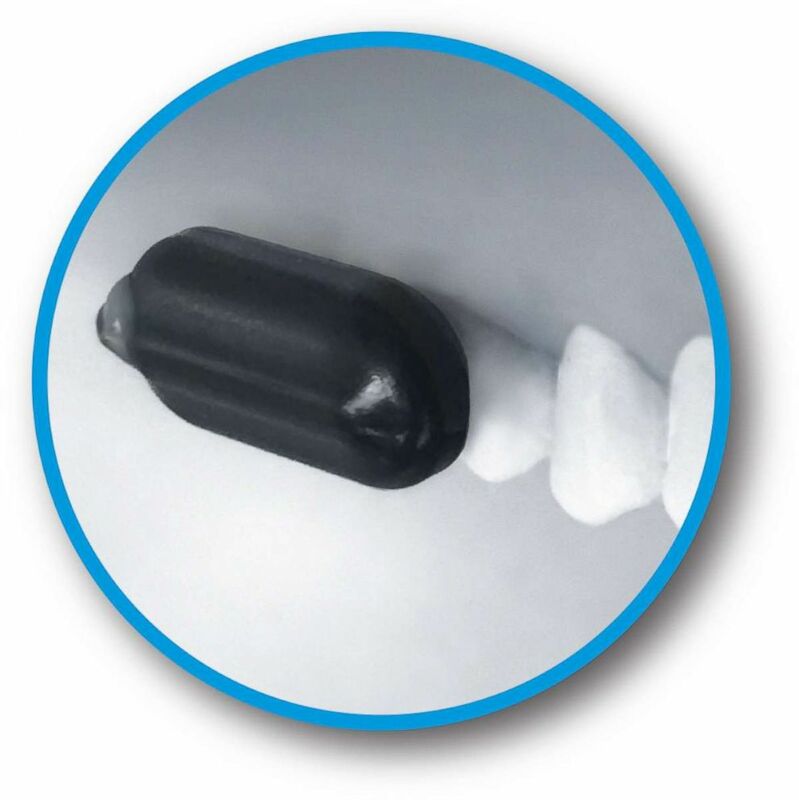 The "molar mic" prototype is based on a concept originally conceived for hearing aids. 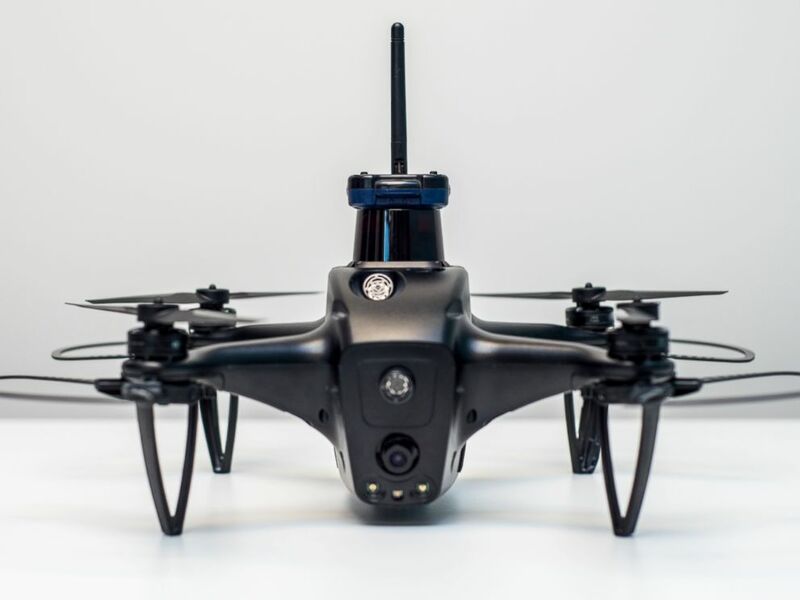 "Instead of a [military] unit having to kick in a door to a multiple-story building, now they can release multiple small, smart drones into that space that are AI-enabled and autonomous, and not only map the entire structure, but highlight potential threats," Mike Madsen, DIU’s director of strategic engagement, told ABC News. The Department of Defense is working on a fleet of autonomous, AI-enabled drones using technology initially intended for a real estate app. "We hard broke on an austere airfield and waited five days for a parts and maintenance official," he said. The evolving AI pilot program, Madsen said, "can crunch billions of data points to understand so many factors." "We’ll know before parts break, before we leave home station," he added. U.S. Army Spc. 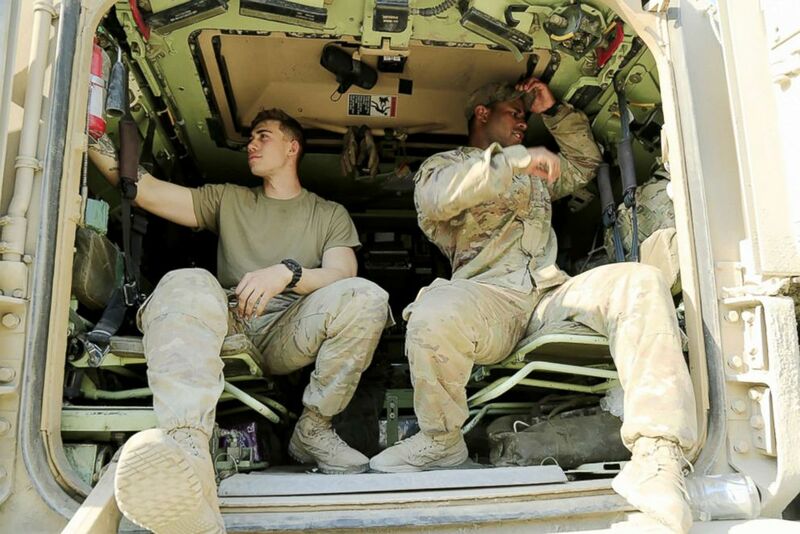 James Turner (left) and 1st Lt. Justin Rodgers, assigned to 5th Squadron, 4th Cavalry Regiment, 2nd Armored Brigade Combat Team, performs a check on an M113 Armoured Personnel Carrier in Grafenwoehr, Germany, April 21, 2018. In May, Secretary Mattis wrote a memo imploring President Donald Trump to create a national strategy for artificial intelligence development, according to a report last month in the New York Times, which noted that, to date, the president's response to the memo remains unclear. "China has a strategic plan to be the artificial intelligence world leader by 2030," Singer said, "and this effort is being backed by massive investment from the government, the military and the industrial sectors there." "That has deeply concerned the [U.S.] military, and that’s been the spark for a lot of these efforts," Singer added. On the government side, he said, "we work with the DoD to fully and clearly and simply identify their problem -- not with a voluminous list of requirements and explanations of the problem." "We’re looking to put that proposal into a contract award within 60 to 90 days," Madsen said. "Our fastest was 31 days." A $131 million contract known as "Project Maven" that DIU struck with Google to use machine-learning technology to swiftly analyze drone images captured on the battlefield (watch a simulation video of a similar but separate project here) was scuttled after thousands of Google employees, including some who resigned over the issue, objected to the Pentagon contract. More than 4,000 employees signed a petition which argued that "Google should not be in the business of war," according to Gizmodo, which first reported the development. Still, DIU appears to maintain the support of the Pentagon’s top brass. When it was launched three years ago, DIU was called DIUx –- with the "x" representing "experimental." Last month the "x" was removed, marking a vital milestone for the young unit, which since its inception has expanded to include satellite offices in Cambridge, Massachusetts, Austin, Texas, and the Pentagon. "Though DIU will continue to experiment with new ways of delivering capability to the warfighter, the organization itself is no longer an experiment," Deputy Defense Secretary Patrick Shanahan wrote in a memo announcing the name change. During Hurricane Harvey last year, thousands of first responders and search-and-rescue teams poured into Houston from a range of agencies. Among them was a small unit of Air National Guard pararescuers -- elite, quasi-military rescue specialists trained to operate in the roughest environments on the planet –- who field tested the "molar mic." Sonitus Chief Operating Officer Peter Hadrovic explained that the "Air National Guard unit working with us generally has a dual mission." "They have an internal, domestic mission and a military mission, so many of the guys that have been outfitted with these systems, in the process of prototyping them, have used them in, for example, Hurricane Harvey, when they were on a civilian search-and-rescue mission," he explained. The regular acquisition process is pretty bureaucratic and slow and can be inefficient -- that’s just the reality of it. While Hadrovic declined to detail all of the new device’s capabilities, the underlying wireless technology -- called "near-field magnetic induction" – is known to be operable underwater, according to outside experts who spoke with ABC News. The Air National Guard's pararescuer jumpers, or "PJs" as they are known, frequently drop from whirring helicopters into deep floodwaters to execute rescues in hurricanes and other national disasters. Hadrovic said the device will eventually be marketed commercially to a variety of industries, particularly firefighters, police, search-and-rescue squads and other types of first responders, whose needs in this instance mirror those of the military -- reliable communication in unpredictable conditions. "Rule number one is clear communication," Hadrovic said. "Communication is safety. Number two is the ability to operate freely." "You put equipment on to protect yourself and you impair your ability to communicate," Hadrovic explained. "So putting on respiratory protection, like a firefighter, can break rule number one –- don’t lose communication." Still, Hadrovic took pains in his interview with ABC News to highlight not just the virtues but the limitations of the "molar mic." "This is not a brain-machine interface," he stressed, referring to a specific concept of a direct pathway between a human brain and an external device, known as a BMI. "But it’s what we’re moving towards." He characterized the "molar mic" as something of an early predecessor to even more fascinating future innovations. "Essentially, when we think of technology -- whether it’s the very first stone that someone picked up to flying a drone, we’ve always used our little monkey fingertips," Hadrovic said. "And now we’re moving into a world where increasingly it will not just be hands-free and voice-free but even with a connection to the human brain," he added. "There are all these cool projects [underway] on brain-machine interfaces, allowing [the wearer] to do everything from flying drones with their mind to ordering pizza to a dorm room without every vocalizing it," Hadrovic said. "This is just the start."